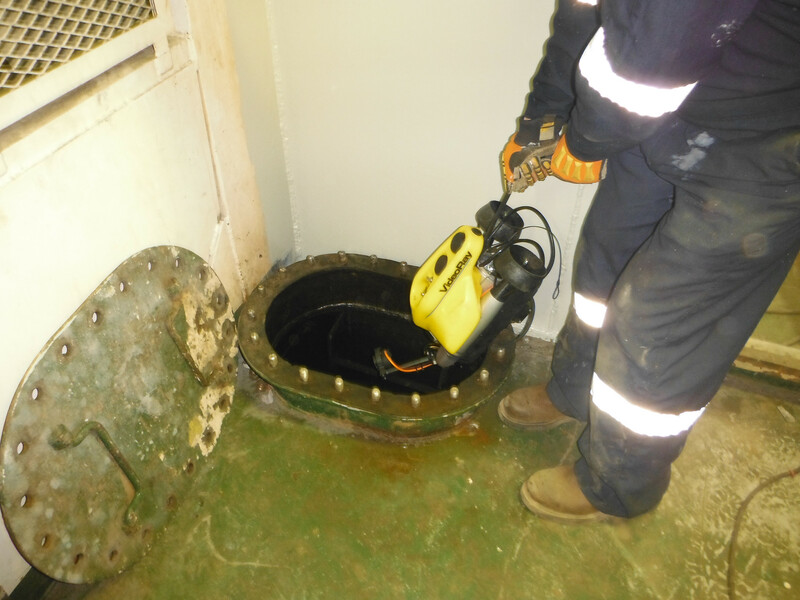 VideoRay ROVs eliminate most, if not all hazards associated with ballast tank inspections. Within a day or two, the VideoRay can complete a full general (GVI) or close visual inspection (CVI) of all tanks using an ultrasonic metal thickness gauge with an articulating swing arm. Operators can quickly determine which ballast tanks do not require further maintenance, and identify specific problem areas in the tanks that do. Once unpacked and inside the tank, the ROV conducts the inspection while the pilot operates and observes from a safe location. 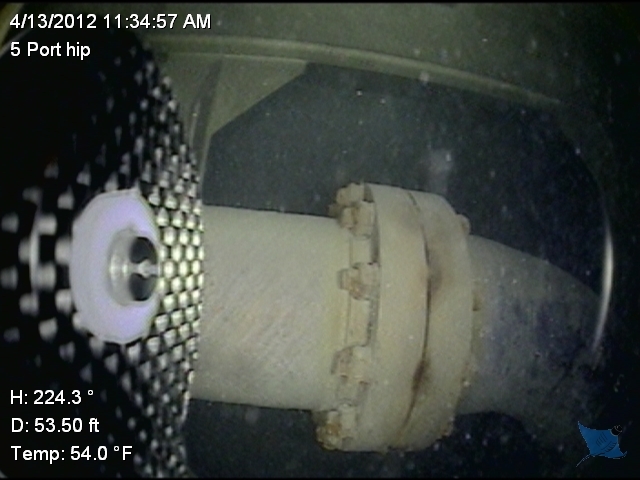 The ROV easily navigates the tanks, capturing clear video footage of interior structures and surfaces, including corrosion and coating defects. Compared to the total cost of a manned entry inspection, VideoRays are far and away more cost-effective. Thanks to VideoRay’s portable, user-friendly nature, a team of only one or two people can complete a full inspection in a few days significantly reducing employee work-hours needed for inspections. VideoRay inspections can also be conducted without prior analysis or emptying the tank, saving both time and money. An ROV inspection requires only that the tank be pressed up with seawater or freshwater. No staging, ventilation or gas-freeing is required. 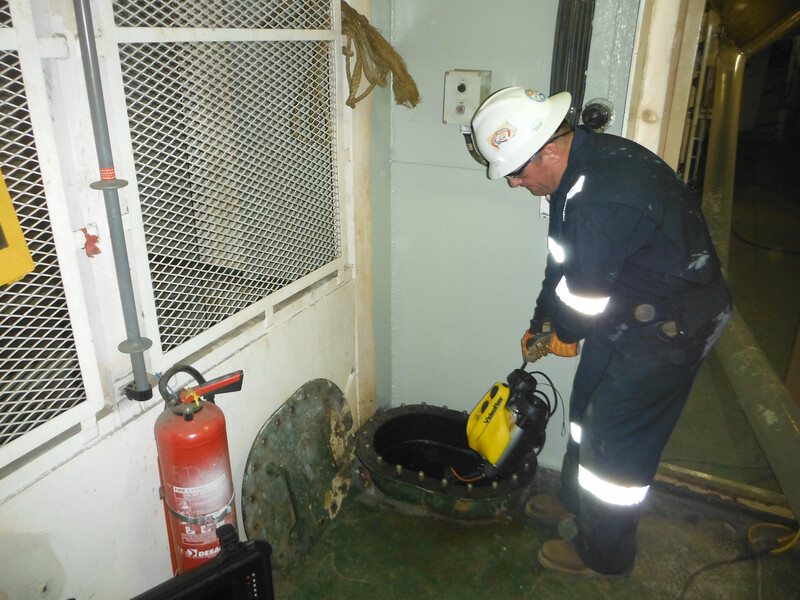 Many of our customers who purchase VideoRay systems for tank inspections quickly find other uses for our ROVs. One corporation in particular originally bought VideoRay systems to inspect the anchor systems on FPSO vessels. They now use it for routine inspections of anchor systems, ship hulls, and ballast tanks, tripling the return on their original VideoRay investment.